A political bidding war between the main parties to prove who is tougher on crime has led to New Zealand having one of the world's highest rates of imprisonment, an international study has found. The comparative study of 11 countries' justice systems found New Zealand's is racist and punitive and imprisons people at a rate second only to the United States. The United Kingdom Audit Office study looked at New Zealand, Australia, the US, France, Canada and the Netherlands among others. It found New Zealand imprisoned offenders at a rate of 199 for every 100,000 of the population, second only to the US at 748. That is 25 per cent higher than England and Wales, and 33 per cent higher than Australia. Between 2005 and 2008 New Zealand's rate of imprisonment rose by 15 per cent despite the crime rate only rising by 4 per cent over the same period. Surprised at New Zealand's high prison population, the authors conducted their only case study on New Zealand. They found despite New Zealand being ranked first in a global peace index which looked at issues such as corruption, violence and crime rates, only 57 per cent of New Zealanders felt safe, a rate comparable with Iran and Bulgaria. New Zealand also remanded more offenders in custody at a rate of 43 per 100,000, compared to 30 in Australia and 25 in the UK. The study found that since the mid-1980s a "bidding war" between National and Labour over who was tougher on crime had led to a dramatic increase in the prison population. "This means the use of harsher sentences without reference to their impact on crime trends or generally agreed opinion about their penal effectiveness," the report said. It also found Maori suffered from "structural inequality and systematic criminal justice system bias". ...and now we have the private prison industry in NZ making a profit from incarceration. The billion dollars of taxpayer money being sunk into the Wiri private prison should shock us all. This is privatization on a sweeping scale. 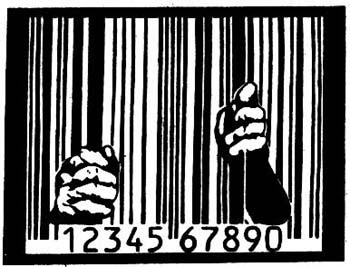 What the recent prison closures really represent is that by 2015, 20% of NZs prison population will be held in private prisons, and that will make us one of the largest percentages of any country in the world. The warping effect of private prisons is already worming its way into policy. The 3 strikes policy benefits private prisons as does the new Corrections Amendment Bill currently being walked through Parliament. The new Bill will enable prisons to include all sorts of petty infringements that added up will deny a prisoner bail. You can immediately see the benefit of such petty rules like 'drinking too much water' to the private prison industry. Bail denied for petty rule infringements is more time in prison, and more time in prison is juicer profits for SERCO. We are building an empire of misery in our prison nation. The fruits of this harvest will reap a sour corporate profit margin that will taste bitter in the communities left dealing with these damaged inmates once they are thrown out onto the streets. The utterly counter productive lynch mob redneck law and order kneejerks have been high jacked for corporate profit. How terribly ugly of us. It found New Zealand imprisoned offenders at a rate of 199 for every 100,000 of the population, second only to the US at 748. So we are NO WHERE NEAR the levels of the US. We CLEARLY need to do MORE! After all, the US is THE democratic and economic model we all want to aspire to, right? USA, USA, USA.